If it’s nigh on impossible to do The Verve justice in any short form the fact remains that they are a key element in the development of British rock music, and not just in the period when they were extant. Formed in 1989 in Wigan by Richard Ashcroft, Nick McCabe, Simon Jones and Peter Salisbury they fine tuned their early psychedelic forays on a sequence of highly treasured EPs and soon became firm darlings of the independent and mainstream pop press as well as an influence on their peers – Oasis in particular were champions. All four Verve albums are represented in this catalogue, as is the trio of Ashcroft solo discs. Their career is marked by major highs and internal lows but let’s emphasise the positive nature of their output on A Storm in Heaven, A Northern Soul, Urban Hymns and Forth – all magnificently powerful rock signposts that burst at the seams with uplifting anthems, classic pop melodies and a ranger of emotional input, often from Ashcroft’s personal life, that guaranteed them iconic status at the time and lend integrity to their legacy now. Having joined forces in their local Winstanley Sixth Form College and cut their embryonic teeth jamming in small studios or on stage on atmospheric pubs word soon spread of the Verve’s prowess spread to London and New York. A trio of indie singles scorched the relevant charts and paved the way for their immaculate debut, A Storm in Heaven, which was produced John Leckie of Radiohead and Stone Roses fame. Although the singles ‘Blue’ and ‘Slide Away’ wouldn’t crossover entirely in 1993 a our supporting Oasis and a slot at Lollapalooza certainly fuelled their notoriety as an incendiary and unpredictable outfit and became the focal point for a fanatical following. The weird, layered psyche rock of A Storm in Heaven, which they recorded at Sawmills Studio in Cornwall, heralded that Verve signature sound – itself an uncanny summary of The Doors, Krautrock and the fuzzy effects of My Bloody Valentine but all wrapped up in Ashcroft’s peculiar world view and enhanced by McCabe’s breathtaking guitar work. Atmospheric and acidic there were also many moments of barely disguised funk provided by The Kick Horns and elaborate structured epics like ‘Virtual World’ and ‘Butterfly’ that did more than hint at what was to come. The album reached the Top Thirty but would have a far-reaching effect that more or less put paid to the shoe-gazing movement as the band’s music strove towards the disorienting and unsettling rather than the simpler mind warp of noise for its own sake. A Northern Soul (1995) enhanced their studio reputation. The title back referring to the dance and soul movement that centred around the Wigan Casino in the previous decades Ashcroft and company deliberately cut themselves off from press and fashion for a while, their isolation only adding to their mystique. This time Owen Morris bossed the console and moved the band to Monmouthshire to concentrate their minds on the job ahead. 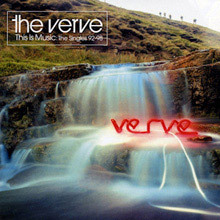 It wasn’t an easy process – nothing to do with The Verve ever was – but friction and tension can make for great art when it’s available to use in the first place and since they wrote songs that were already being compared favourably to the likes of Nirvana and the Stone Roses those pressures were worthwhile in hindsight. Certainly one can’t overestimate the clout of A Northern Soul. Everything shimmers. Upping the power input a thousand fold the disc starts with ‘A New Decade' before ‘This Is Music’ jumps out at you with its social scream. ‘On Your Own’ pays some lip service to The Smiths in terms of tone and chording. The title track is dedicated to Oasis’ Noel Gallagher who had caused a stir when he dedicated the song ‘Cast No Shadow (on How Soon Is Now? )’ to the genius of Richard Ashcroft. Musically as well as lyrically, The Verve took greater risks than most. Utilising Moogs, 12-string guitars, plenty of piano and percussion and Liam Gallagher’s handclaps on 'History', they locked onto a sonic groove that few from the British Isles were attempting then. 'History' for example combined elements of John Lennon’s 'Mind Games', stanzas from William Blake’s poemLondon and full-blown strings to create a real epic. Unfortunately the four men decided to split up. Fear not! They soon reformed to make their ultimate statement, 1997’s Urban Hymns, an album generally recognised to be one of the brilliantly realised discs of the era. Out of adversity came strange fruit. 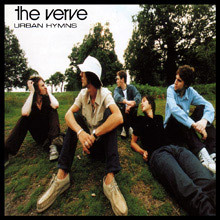 Urban Hymns would sell over 10 million copies and won Best British Album at the 1998 Brits, was short-listed for the Mercury Prize and still ranks super high on all time best of polls. A majestic, mercurial and mature work this five star disc is completely recommended. Most people will be familiar with the seminal ‘Bitter Sweet Symphony’ and ‘The Drugs Don’t Work’ (the latter a devastating paean to memories of Ashcroft’s dying father) but there is beauty and wonder everywhere – from ‘Sonnet’ and ‘Velvet Morning’ to cuts that should never be overlooked like ‘Lord I Guess I’ll Never Know’ and ‘Come On’. The stand-alone classics are entry points of course. ‘Bitter Sweet Symphony’ was a huge hit in America and while the song borrowed the Andrew Loog Oldham Orchestra’s version of The Rolling Stones’ song ‘The Last Time’ it still stands on its own merits, not least for the terrific stroll Ashcroft takes through Hoxton for the video. Could such an awesome moment be matched, or even topped? ‘The Drugs Don’t Work’ manages that feat. producers Martin ‘Youth’ Glover and Chris Potter extracted another stellar performance here that matches the impact that The Cars' ‘Drive’ had at Live Aid. Certainly Ashcroft’s vocal delivery brooks no argument. ‘Lucky Man’ also wormed its way into the national consciousness to the extent that Bono from U2 went on record as saying he wished he’d written it himself. If you don’t already own a copy of Urban Hymns here’s the chance to correct that oversight. If you then refreshing your copy is worthwhile if only to grab those B-sides and marvel again at the new look Verve with McCabe and guitarist Simon Tong on overdrive. 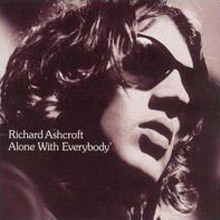 Following a second split Richard Ashcroft would embark on a solo career that has seen him tagged as the best singer in the world by Coldplay’s Chris Martin. You can check that claim out yourself by rediscovering his first three discs here. And there is continuity at hand since the opening single for the album Alone With Everybody is the top three hit ‘A Song for the Lovers’, itself originally demoed for Urban Hymns. Recording again with Potter, Ashcroft fell into his new guise with ease. Great music is everywhere. ‘Money to Burn’ and ‘C’mon People (We’re Making It Now)’ reaffirmed the singer’s social credentials as he sought to make some room for himself between corporate demands and artistic integrity. Once again the strings expertise of ace arranger Will Malone feature, as do keyboards parts from Ashcroft’s wife Kate Radley, B.J. Cole’s pedal steel and Chuck Leavell’s swampy southern organ parts. Ashcroft himself contributes multi-instrumental prowess and evidently loved experimenting with the mellotron and melodica (the latter a nod at reggae man Augustus Pablo). Human Conditions (2002) is a disc that gets better with time. Apparently part-influenced by listening to Dennis Wilson’s Pacific Ocean Blue album, Ashcroft pitched the track ‘Nature Is the Law’ to Brian Wilson in LA and the Beach Boy sent back a backing vocal arrangement that may have passed some by but should not. Check the ‘Meaning’ and ‘Science of Silence’ are also ripe for reappraisal while ‘Buy It In Bottles’ is another brainworm. 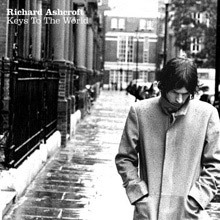 Keys To The World (2006) features a more contemplative sound than anything else Ashcroft has done to date. Folkier, with sheer soul overtones, the songs here are considered and affecting. ‘Music is Power’ samples Curtis Mayfield (one of Richard’s heroes) and there is an R&B old school template to ‘Break the Night’ with ‘Colour, Why Not Nothing’ and ‘Sweet Brother Malcolm’ that remind the listener that Ashcroft isn’t afraid to shine a light on his spiritual side. With Ashcroft having been adamant that The Verve would never reform, the band did just that. Their reunion was announced on BBC Radio 1 in June 2007 with tickets for a six-gig tour in November sold out almost immediately and dates were soon extended into December and then into 2008 where they played festivals, including headlining Glastonbury, and shows in North America. Their Glastonbury performance was preceded by a new single ‘Love Is Noise’ in June 2008 and it was followed by a new album, Forth, which was released in the UK and USA in August; it reached No. 1 on the UK Albums Chart a week later. The band once again broke up in 2009, whether for a ‘holiday’ or for good remains to be seen. He’s come a long way since those heady nights in Wigan but Richard Ashcroft hasn’t lost his way. His own music and that of The Verve are well loved and will continue to be revered wherever people crave new songs for swinging lovers that also have a conscience. Dive in anywhere here. You are unlikely to regret your decision. Not long after the release of A Northern Soul, the Verve imploded due to friction between vocalist Richard Ashcroft and guitarist Nick McCabe. It looked like the band had ended before reaching its full potential, which is part of the reason why their third album, Urban Hymns -- recorded after the pair patched things up in late 1996 -- is so remarkable. Much of the record consists of songs Ashcroft had intended for a solo project or a new group, yet Urban Hymns unmistakably sounds like the work of a full band, with its sweeping, grandiose soundscapes and sense of purpose. the Verve have toned down their trancy, psychedelic excursions, yet haven't abandoned them -- if anything, they sound more muscular than before, whether it's the trippy "Catching the Butterfly" or the pounding "Come On." These powerful, guitar-drenched rockers provide the context for Ashcroft's affecting, string-laden ballads, which give Urban Hymns its hurt. The majestic "Bitter Sweet Symphony" and the heartbreaking, country-tinged "The Drugs Don't Work" are an astonishing pair, two anthemic ballads that make the personal universal, thereby sounding like instant classics. They just are the tip of the iceberg -- "Sonnet" is a lovely, surprisingly understated ballad, "The Rolling People" has a measured, electric power, and many others match their quality. Although it may run a bit too long for some tastes, Urban Hymns is a rich album that revitalizes rock traditions without ever seeming less than contemporary. It is the album the Verve have been striving to make since their formation, and it turns out to be worth all the wait. Though shorn of the more overtly shoegazer-styled elements of their debut A Storm in Heaven, the Verve's sophomore effort A Northern Soul is no less epic in scope, forging a heavier, more traditionally psychedelic sound infused with a chaotic energy which mirrors the emotional upheaval at the heart of Richard Ashcroft's songs. Reportedly produced under the influence of excessive drug use, the album is harrowingly intense, its darkly hypnotic momentum steered by Nick McCabe's spiraling guitar leads and Ashcroft's incantatory vocals; tracks like the remarkable "On Your Own," "So It Goes," and the majestically morose "History" are searing evocations of isolation and desperation, soaring yet heartbreaking anthems of disillusionment and loss. 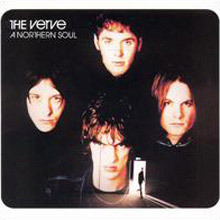 Whereas future Verve masterpieces A Northern Soul and Urban Hymns would feature succinct song structures (for the most part) and instantly memorable verses and choruses, the group's 1993 full-length debut, A Storm in Heaven, was based on buoyant, extended psychedelic passages. Looking back today, it was an interesting and original musical direction, since at the time, angst-ridden Seattle bands (and their many copycats) were all the rage. While a few songs hint at the Verve's future penchant for composing pop gems ("Make It Till Monday," "Blue," "Butterfly"), many of the longer tracks are just as strong, especially the album's best track, the hauntingly beautiful "Already There." Also featured was the album-opening space rocker "Star Sail," the shifting moods of "Slide Away," the misty "Beautiful Mind," and the stark closer, "See You in the Next One (Have a Good Time)." 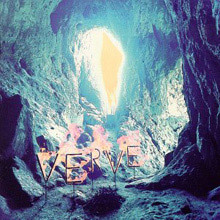 A fine debut, A Storm in Heaven proved to be the important connection between the Verve's expansive early work (1992's self-titled EP) and their later worldwide pop hits. If ever a band seemed poised for a triumphant comeback it's the Verve, the space rock band that imploded just after the success of its third album, 1997's Urban Hymns. the Verve always acted as if their greatness was self-evident and preordained, that it was only a matter of time for the rest of the world to come around and acknowledge their majesty, so when they finally began to conquer the globe with Bitter Sweet Symphony it felt like a logical conclusion to their rise, which only meant their sudden implosion felt anticlimactic, as if the movie ended before the final reel unspooled. Unlike some bands, it seemed necessary for the Verve to re-form so they could complete their story, to prove that their success was no fluke -- but it was equally true that for lead singer Richard Ashcroft a reunion was also necessary, as his solo career drifted aimlessly on murmured cryptic confessionals supported by listless acoustic guitars. He needed a jolt of energy from a real rock band, especially one powered by guitarist Nick McCabe, who wasn't really doing much of anything anyway, so it seemed natural for the bandmembers to set aside their differences -- differences that led to a split way back in the '90s, after the release of 1995's A Northern Soul -- to reunite for 2008's Forth, a record that's just slightly sprightlier than the album's punning title. 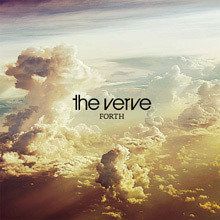 Picking up precisely where Urban Hymns left off, Forth is stately and sweeping, an album where the rockers are as slow and deliberate as the ballads. Apart from the cacophonic wailing hook and glitzy club beat of the lead single, "Love Is Noise," there is no dissonance or shock here, only familiarity, and this in turn leads to a surprise -- as by delivering exactly what was expected, Forth reveals that the Verve's story was pretty much complete already, with each of their records functioning as a fully realized act in their progression. Compared to the dramatic introduction of A Storm in Heaven, the escalation of A Northern Soul, and the wistful conclusion of Urban Hymns, Forth is an extraneous epilogue, finding our characters ten years older but not all that wiser. Certainly, the only notable difference is that the songwriting isn't as sharp as it was on Urban Hymns, something that isn't a great surprise after Ashcroft's leaden solo albums, but at least here there's not an emphasis on hushed introspection, but rather the band in all its slow, roiling glory. This reliance on sighing waves of guitars -- pulsating relentlessly like a sepia-toned lava lamp -- might recall the heyday of A Northern Soul in its intent, but in practice this is like the trippier moments of Hymns, as the guitars don't rage, they glide, the rhythms don't push, they relax. This music is spacious yet earthbound, pretty but not wondrous, grounded by an Ashcroft who has lost his madness and a band that is finding its groove again, not moving forward. Forth adds nothing to the narrative -- it doesn't expand on the past or suggest the future -- yet it doesn't detract from the established story either. It's pleasant, even comforting, which makes Forth as pure a sequel as possible: it's an album that offers more of the same many years too late, which will be enough for the legions of faithful who have waited to hear all the old characters back together again, yet seems a little pointless for those who no longer remain quite so invested in the band. He experienced what could have been a traumatic blow to his inventiveness and creativity as a musician but ex-Verve frontman Richard Ashcroft is fresh. He has moved on from the effervescent prettiness of his former band to make music for himself -- something the Verve might have done somewhere in time, but it wouldn't have been so honest or stripped as this solo jaunt, Alone With Everybody. Another look into the shoegazing mind of this singer/songwriter, this record is not a comeback. Ashcroft is optimistic, hauntingly spellbound on the album opener "A Song for the Lovers." It is a signature love song, flowing with its illustrious string arrangements and simple brushing percussion. His drawl is naturally smooth and one cannot help but to be pulled into the seductiveness behind his words. "Brave New World" and "You on My Mind in My Sleep" are also songs that can carry emotion to another level, weighing in on something surreal. He also gets poppy with a sarcastic twist on the trippy groove "New York," and the twangy sounds of "Money to Burn" clap alongside folk-rock guitar riffs. Richard Ashcroft is still tastefully infectious. He still believes that music has a soul -- with or without his former band. He is certainly a rock star and a believer in love, death, musical spirituality, and individuality. That is what made the Verve a great rock band in the first place, but Ashcroft's superior drive to do something real only makes him and his music more endearing. He is looking ahead, not wishing for past adventures. He celebrates life, pure and simple. Richard Ashcroft is a deeply inquisitive man, probably too much for his own good. His regimen of frequently questioning God and overanalyzing the theories of love naturally work for him, so the design of Human Conditions isn't any different from what he's done before. But that's not necessarily a bad thing, either. Human Conditions is, in a literal sense, Ashcroft's sonic bible of beautifully crafted melodies and lyrical mysticism. The warm, honeyed tones of a hushing brass section and string arrangements set the mood on album-opener "Check the Meaning." A battle of search and fight is realized almost immediately. God is female and Ashcroft's lyrical character struggles with trust. Sweeping acoustic guitars drive the lilting paranoia of "Buy It in Bottles" and "God in the Numbers," but the bluesy feel of "Bright Lights" is much more gritty. Ashcroft might be a bit preoccupied with finding a good life, but who isn't? He's playful in presentation and actually pretty sweet when it comes to delivering a pop hook. "Nature Is the Law," which features harmonies from Beach Boy Brian Wilson, is a testament of that. Whereas Alone With Everybody was lush in emotion but musically over-produced, Human Conditions stays within the boundaries. It's a decent second album and longtime Verve enthusiasts should leave it at that. Richard Ashcroft deserves kudos for his, um, balls. But then again, a man who claims his last recording, 2002's Human Conditions, was the artistic equal of Marvin Gaye's What's Going On is tough to like, too. While many thought he had slunk into the murky depths after the critical and commercial drubbing of Human Conditions, Ashcroft was simply pondering what happened and deciding it was everybody else's fault the record tanked. Three and a half years later, the Verve's former frontman is back with a record not terribly different, though certainly more pastoral and perhaps more middle of the road. Those who fell in love with 2000's Alone with Everybody will have a tougher time here just as they did with Human Conditions. But really, it's not the record's fault. Ashcroft uses a burping horn section and a few layers of raw, rusty electrics on "Why Not Nothing," the opener on Keys to the World, a nefarious anti-religion rant. His snarling vocal riding down inside the rock & roll cacophony is such a breath of fresh air, it's a true departure from his solo work thus far. The messed-up fuzz tone guitar break is glorious. Ashcroft can strut and swagger with the best of them. At least here, Ashcroft reveals he can spit out the rage with the best of rock's big-time frontmen (Jagger, Stewart, et al.). "Music Is Power" reveals the true surprise. It's a Northern soul workout with -- are you ready? -- samples! from Curtis Mayfield no less. (Actually it's from Walter Jackson's "It's All Over," produced and written by Mayfield.) Yep, the guy who ripped off and got raked by Jagger and Richards lawyers for the royalties to "Bittersweet Symphony" has dipped his foot into the digital ocean once more. It's a cool groove, and he rides it well, though there is a bit too much sonic separation between singer and musicians (the set was produced by Ashcroft and longtime mate Chris Potter, who's worked with the Rolling Stones). "Break the Night with Colour" is full of strings, a concert grand piano, some synths (including treated backing chorus), and a patch of guitars to make it a beautifully layered soft rock tune. Nothing "indie" or alternative here, folks, except perhaps his disconsolate lyrics. It's a fine comeback single, but either of the aforementioned tracks would have fared better to lure punters to the album. Other standouts on this well, if leisurely paced, slab include "Words Just Get in the Way," with a set of lyrics that are near narrative (read: not mind-bogglingly nonsensical) for a change. It's a sleepy folk-rock tune with its lonely piano and vocal intro before the muted guitars enter. The strings come in on that second verse and one could close their eyes and picture hearing "Bridge Over Troubled Water" as a bona fide rock song, or early-'70s Neil Diamond being a Brit. The programming blitz on the title track breaks the interior mood a bit and rocks it up. But the sampling is rather dreadful and boring. The rest of the disc simply follows a formula, though it's a pleasant one. 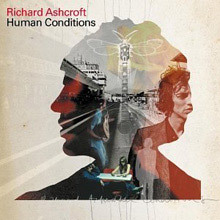 Ashcroft introduces everything else here with skeletally placed guitars, pours on the strings, and keeps the tempo on slow, slower, and slowest until the final track, "World Keeps Turning," which is slick, mid-tempo pop/rock. There's nothing wrong with that; it's just a curious way to send a record off. It's got a fine hook, a cool guitar part in the mix, and Ashcroft's vocal is back to being the British Bobby Dylan. What was learned from Keys to the World is that after nearly four years, Ashcroft, despite his own proclamations to greatness, is at the place where he delivers almost entirely what you'd expect -- even if its execution is more attractive. The '90s were filled with pop supernovas -- bands that burned brightly for one or two albums then sputtered to an anticlimactic conclusion. Of these bands, the Verve were one of the largest, perhaps because they imploded not once but twice. The first time, they collapsed following the release of their second album, Northern Soul, in 1995. They regrouped in the following year to record Urban Hymns, their commercial breakthrough, but lingering tensions between vocalist/songwriter Richard Ashcroft and guitarist Nick McCabe tore the group apart for a second and final time. They never became the global superstars that their early partisans predicted -- it would have been hard to compete with Oasis during their heyday -- but as the 2004 collection This Is Music: The Singles 92-98 proves, the group was too arty, too low-key, too psychedelic, too English eccentric to be superstars. Some might have said the same thing about Radiohead, but that Oxford quintet had a heavy dose of U2-styled anthemic arena rock and Thom Yorke's melodies were bigger than Ashcroft's subtle, swirling tunes. Also, Radiohead started out relatively straightforward and grew strange, while the Verve took the opposite path, beginning as post-shoegazer neo-psychedelics and ending as tasteful traditionalists. This Is Music -- which is the natural and perfect title for this compilation -- doesn't chart this journey, since it winds through the group's 12 singles, including the first LP appearance of their debut single, "All in the Mind," with little regard for chronology before ending with two OK outtakes from Urban Hymns ("This Could Be My Moment," "Monte Carlo"). This sequencing doesn't emphasize similarities throughout the body of work -- Urban Hymns is a decidedly less adventurous album than its two predecessors, which doesn't make it a lesser album -- but it doesn't hurt the collection, either, since it flows like a good concert. This collection also confirms the suspicion that the Verve were an album-oriented band that best conveyed its mission and sense of purpose on its singles, which expertly captured the feeling, spirit, and mood of each full-length record. And that's why This Is Music winds up being definitive: distilled to their singles, the Verve still sound vibrant and slightly mysterious, wiping away memories of the band's dissolution and Ashcroft's pedestrian solo career, preserving the moment when the group sounded as if the world were at their feet.